“I have this new cheat box. 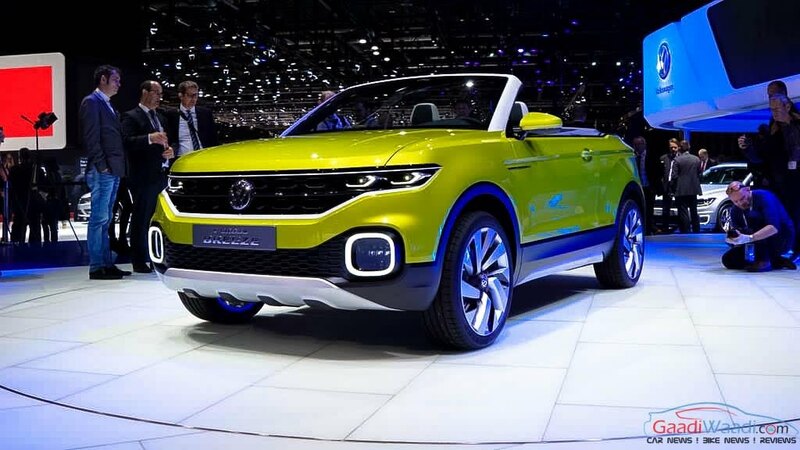 No one is going to find out about this one.” That’s what suddenly stopped Jurgen Stackmann in the middle of his presentation speech at Geneva Motor Show, when he was describing the features of the new Volkswagen Up and the T-Cross to the journalists presented at the show. Not only Jurgen Stackmann, but everyone was stunned when a man dressed in a Volkswagen overall stormed onto the stage with a spanner and a black box in his hand which read “Cheat Box”. He lied down in front of the new car and mockingly tried to repair it with the “Cheat Box”. Clearly the man was pointing toward the “Dieselgate” scam which shook the automotive world last year. Stackmann promptly tried to stop the man by replying, “Okay, it doesn’t need repair. It’s a perfect car.” The man in VW overall who was later identified as British comedian Simon Brodkin who replied to him by saying, “No no no! Mr. Muller said it was okay as long as no one finds out.” Although Simon was taken outside by the security personnel immediately, the damage was already done. Clearly, it was a huge embarrassment for the German brand at such a prestigious event, Geneva Motor Show. Dieselgate was certainly the biggest scandal of recent times in automotive world. On 18th September, 2015 US Environmental Protection Agency issued a notice of violation of the clean air act to Volkswagen. It was found that the German automaker intentionally equipped their TDI engines with a cheating device which would control emissions during laboratory tests. The cheating device caused the cars to emit less nitrogen oxides only during regulatory testing, while in real world driving these cars emit 40 times higher nitrogen oxide. Volkswagen was accused for using such cheating device in several other countries as well including in its home nation of Germany.